The Precision Medicine World Conference 2019 (PMWC 2019) will be held January 20-23 at the Santa Clara Convention Center in California’s Silicon Valley and will include two sessions focused specifically on real-world data (RWD) and real-world evidence RWE). These sessions will bring together top experts, including representatives from Qiagen and N-of-One (400 Speaker Program). Please see additional details on these PMWC sessions on RWD and RWE at the end of this note. Registration for this outstanding PMWC conference is still open and can be accomplished at this link (https://www.pmwcintl.com/registration/?page_scroll=2019sv). In a January 15, 2019 PMWC release, Tal Behar, Co-Founder & President, PMWC Silicon Valley, noted that the FDA has created a framework for evaluating the use of RWE to support additional indications for approved drugs, as well as to satisfy drug post-marketing study requirements. This framework lays out the Agency’s approach to developing guidelines for using RWD in drug regulation. Qiagen announced last week that it has entered into an agreement to acquire N-of-One (both Qiagen & N-of-One will be presenting at PMWC 2019), a molecular decision support company and pioneer in clinical interpretation services for complex genomic data. N-of-One has built a proprietary somatic cancer database of more than 125,000 patient samples. Its technology helps pathologists create reports for clinicians that include genetic variant interpretation, DNA change, effect, and causative condition. RWE collected from a variety of sources offers new insights and opportunities to make better clinical decisions, understand clinical outcomes, and to enable better-informed regulatory decisions. The growing prevalence of electronic health records, combined with Big Data analytical techniques, is making RWE extremely attractive to researchers, regulators, pharma companies, and payors. As the healthcare community is moving toward a number of new reimbursement models that emphasize value, the use of RWE is expected to grow in importance and broaden the ability of payors to assess the quality of the claimed patient benefit when making reimbursement or coverage decisions. This, together with rapidly maturing natural language processing (NLP) technology, makes RWE a must-have across the healthcare landscape. The first RWE session at PMWC 2019 is titled “Real World Evidence to Inform Research and Clinical Decision Making.” This session will feature the following: a panel discussion with Mimi Huizinga (Novartis), Marty Tenenbaum (Cancer Commons), and Shawn Sweeney (AACR) that will be chaired by Deborah Schrag (Harvard Medical School); opportunities and challenges in using real-world evidence to inform oncology clinical decision making; challenges and opportunities in defining real-world endpoints and the development of methods and analytical tools capable of generating insights from sources generated outside the context of randomized controlled trials; review of the FDA’s Framework for RWE, including consideration of the following: whether the data sources are fit for use, whether the trial or study design used to generate RWE can provide adequate scientific evidence to answer or help answer the regulatory question, and whether the study conduct meets FDA regulatory requirement. 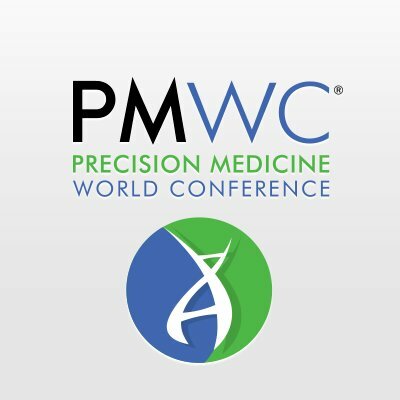 The second RWE session at PMWC 2019 is titled “Real-World Evidence-Based Diagnostics and Genomics-Guided Precision Medicine.” This session will include: a panel discussion with Raju Pillai (City of Hope), Sheryl Elkin (N-of-One), and James Hadfield (AstraZeneca) that will be chaired by Sean Scott (Qiagen); discussion of recent advancements, needs, and integration challenges to develop RWE data assets in support of treatment decisions, clinical trial protocol design, as well as other clinical and research applications; and discussion on genomics data integration with clinical data, such as outcomes data, and RWE from clinical trial sources. PMWC 2019 will provide an excellent opportunity learn more about RWE and a host of other hugely impactful current topics in precision medicine. Registration for this outstanding PMWC conference is still open and can be accomplished at this link (https://www.pmwcintl.com/registration/?page_scroll=2019sv). BioQuick News is an official Media Partner of PMWC 2019 (https://www.pmwcintl.com/2018sv/media-partners/). Others include Genome Web, AllSeq, Big3Bio, California Life Sciences Association (CLSA), Cancer Prevention Institute of America, and HOPE Open Medicine Foundation.